The new UltraLite Laptop Cart can help you hit your CQC targets during the busiest time of year. Our smallest, lightest Cart yet provides instant access to patient records in the most congested areas – creating more time to care. Nurses wanted an ultralight, highly manoeuvrable Cart to move easily from patient to patient. Delivering exceptional care quickly & improving patient flow when it’s most critical. 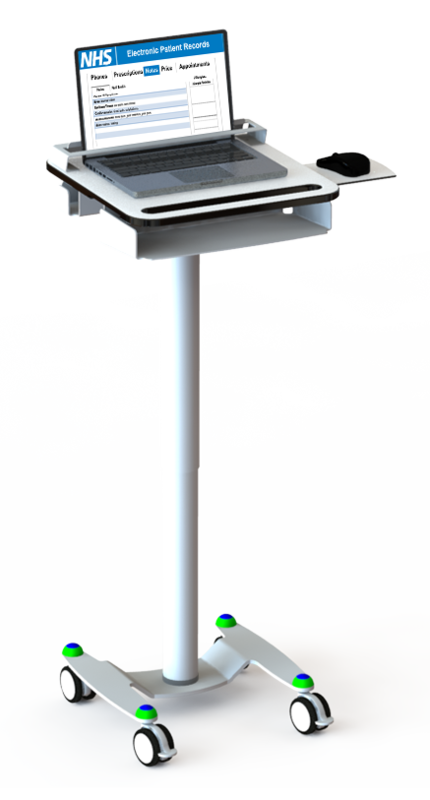 This Laptop Cart has been designed to suit all users of varying heights, and can be used in both truly seated or standing positions. Nurses can ‘stay in the bay’ with uninterrupted workflow, improving care and increasing efficiency. We have customised this Laptop Cart to incorporate a slide out mouse tray, which is adjustable to accommodate left or right hand users. 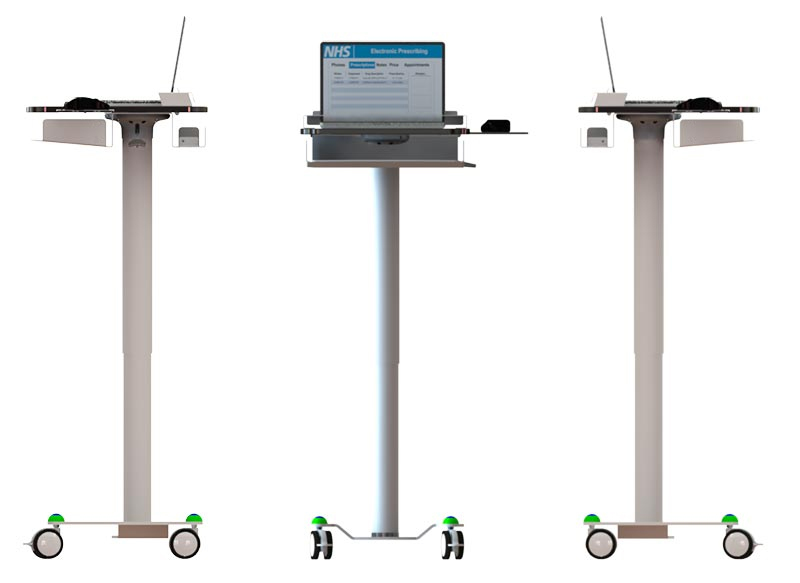 This Laptop Cart is perfect for EPR, EPMA, PACS review and other systems requiring information access at the bedside. Built for safety & infection control. Up to a 19″ Laptop can be securely enclosed, with access to ports & drives on all sides. 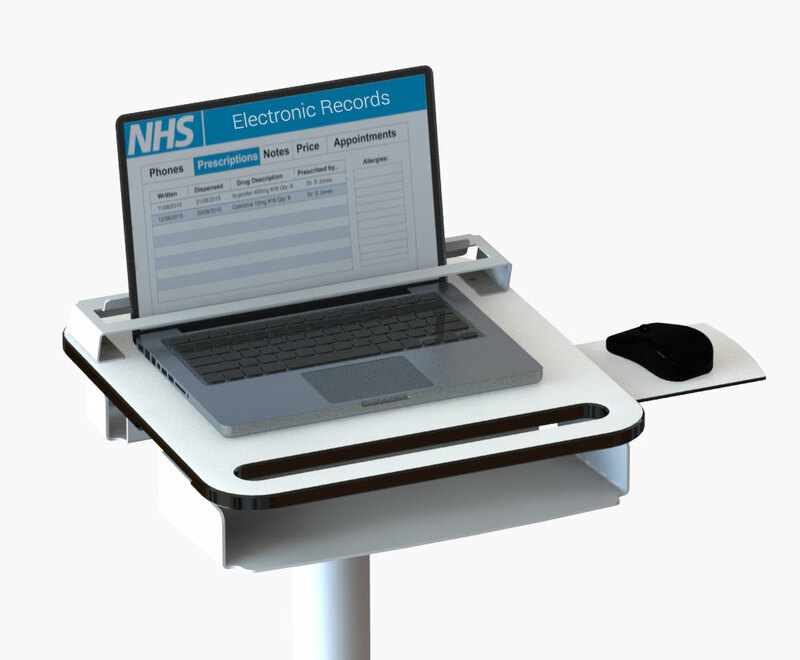 This Laptop Cart is great for infection control and has an under work surface for file or keyboard storage.